The Umbra Reflexion Box is a jewellery box with that certain something. The highlight of the casket designed by Sung wook Park reveals itself only when using it. When pulling out the drawer of the Reflexion box on its handle, the lid automatically flips upwards and releases the mirror inside. The interior of the box is divided into three areas: a large compartment for necklaces, pendants and bracelets as well as two smaller compartments. One of the smaller compartments is specially lined to store rings. The other one can be used as needed for example for earrings. 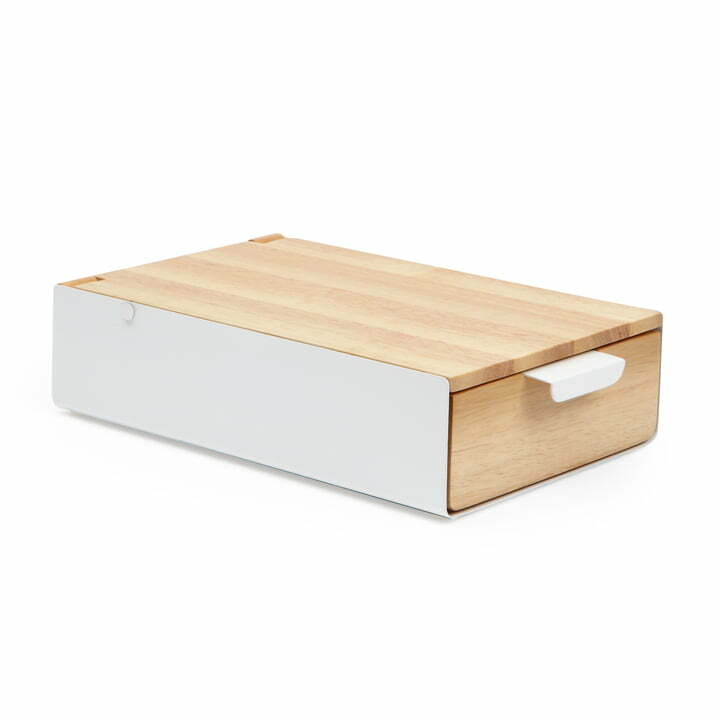 Umbra manufactures the Reflexion box made of wood and metal. 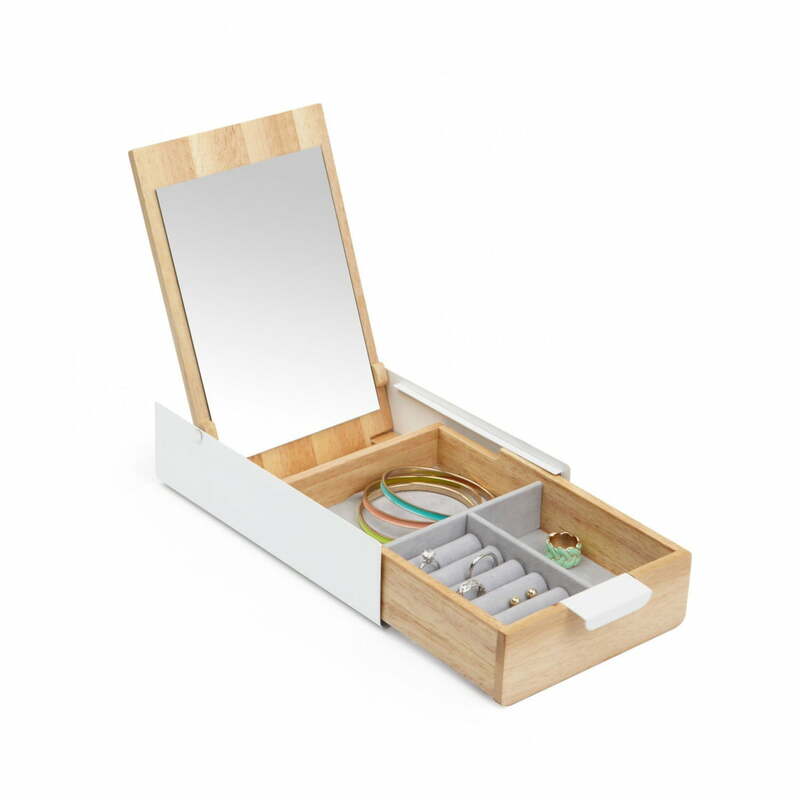 With its practical function and its built-in mirror, the Reflexion box is not only suitable as a jewellery box, but also as a storage box for cosmetics.